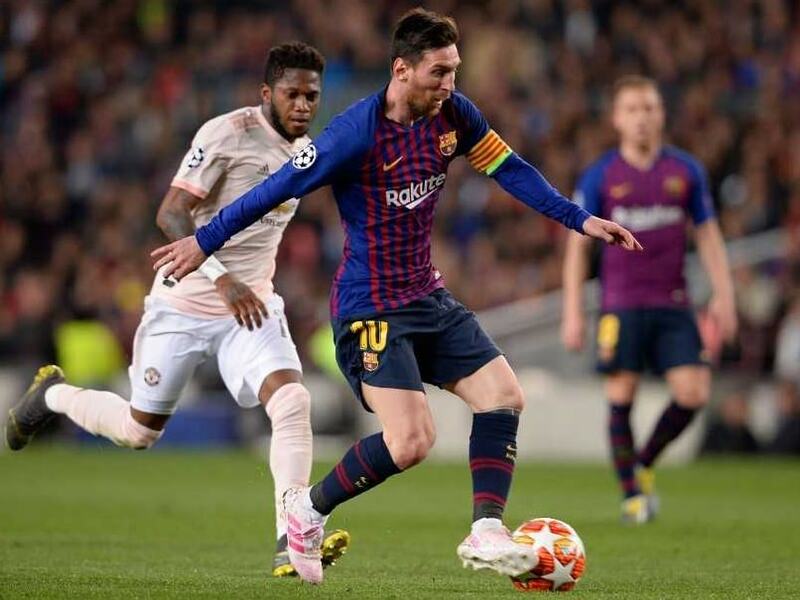 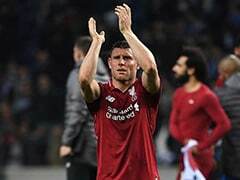 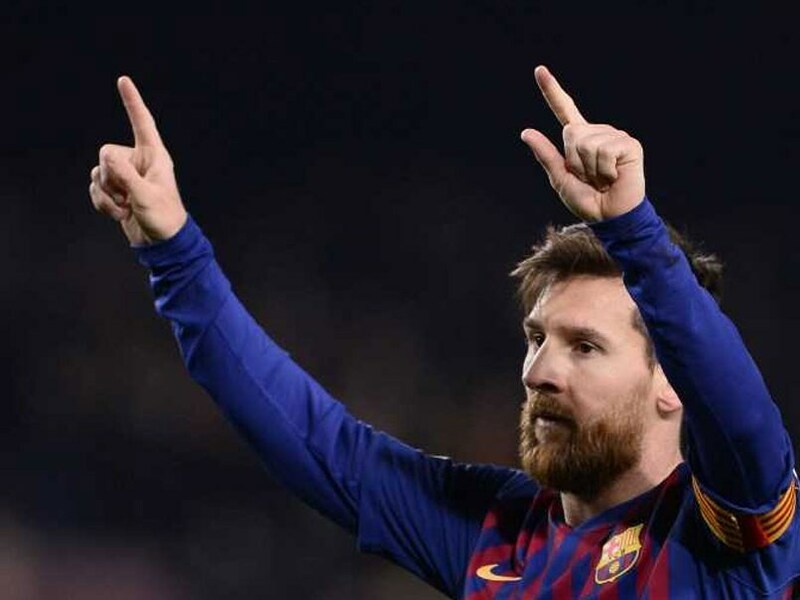 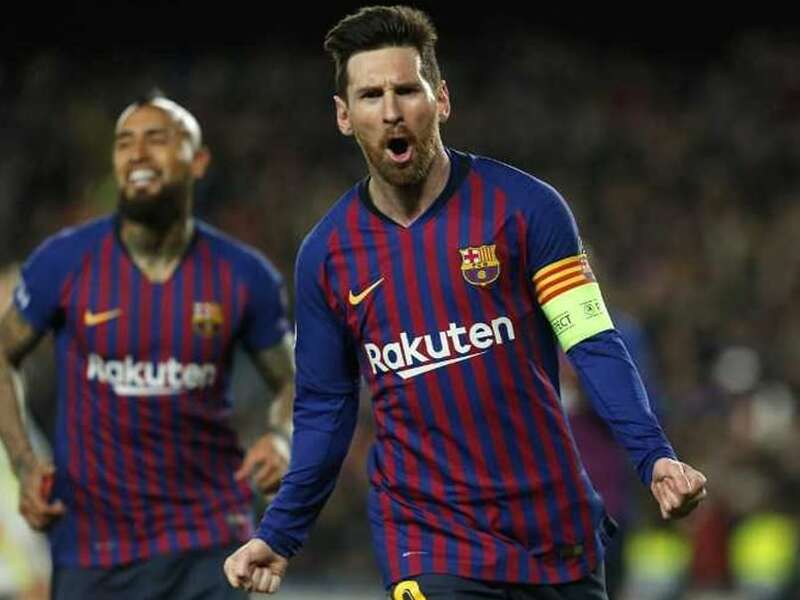 Lionel Messi now has 110 Champions League goals and, potentially, three extra matches to reduce the gap on Cristiano Ronaldo's 126, after Juventus were dumped out by Ajax. 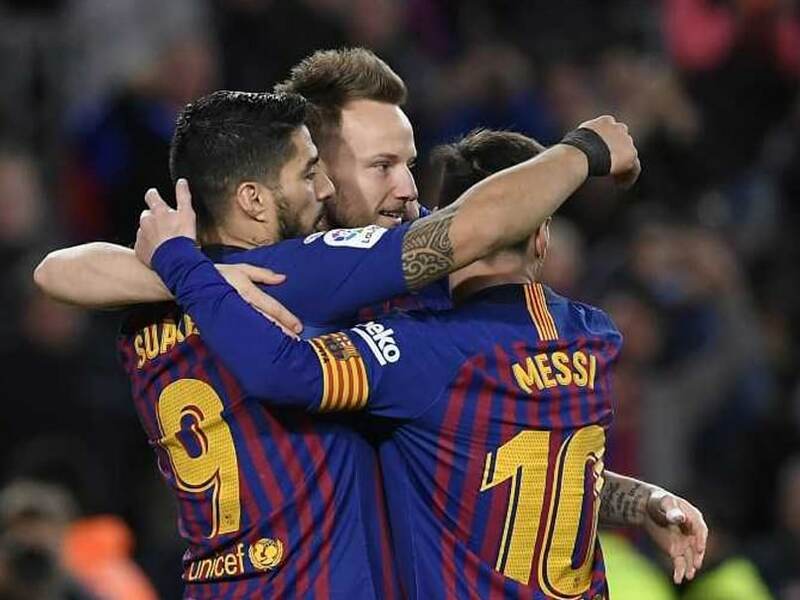 Barcelona broke the resistance of 10-man Atletico Madrid on Saturday to go 11 points clear of their La Liga title rivals. 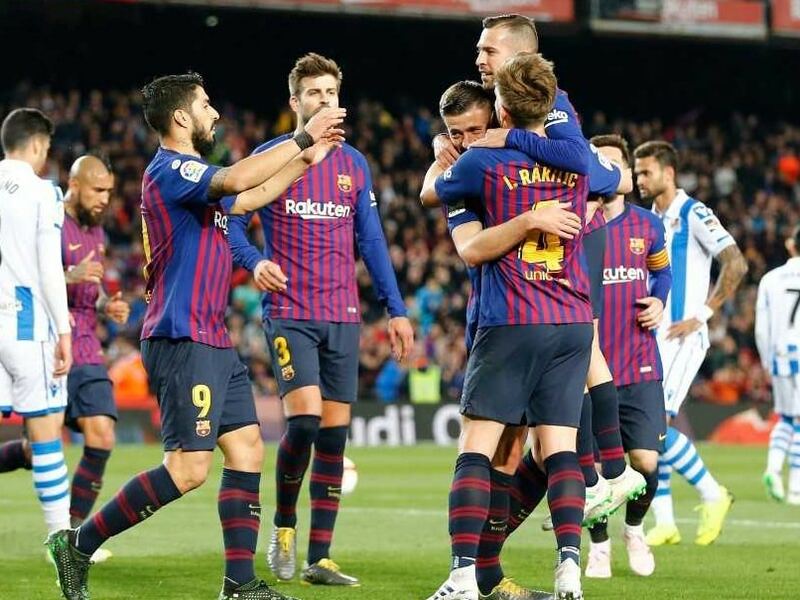 Barcelona continued their march towards the La Liga title on Saturday with a 2-0 win over Espanyol. 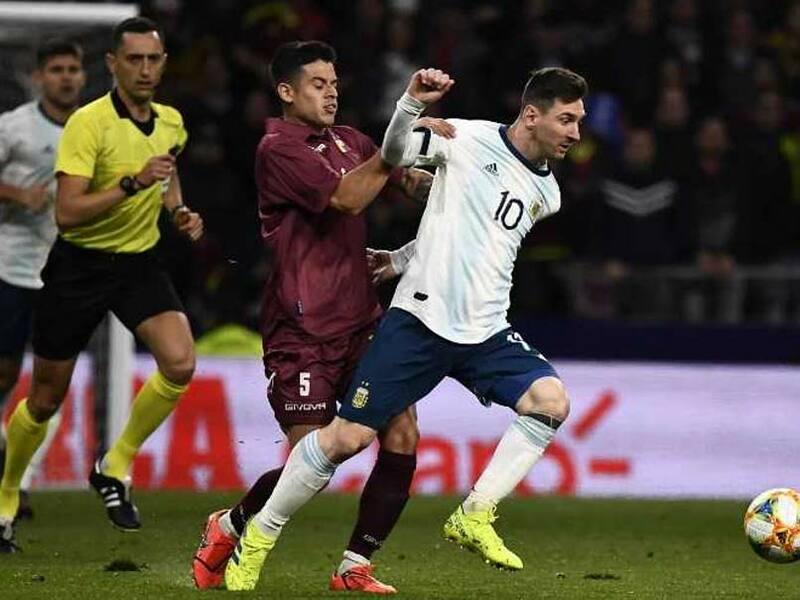 Lionel Messi picked up a groin injury in the shock 1-3 defeat to Venezuela as he made his first international appearance since the 2018 World Cup. 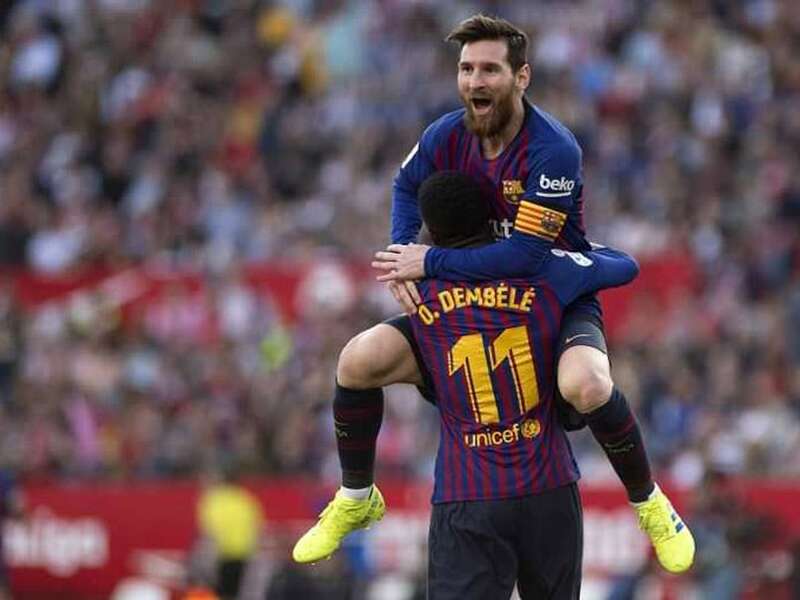 Lionel Messi's treble, his second in a month in Seville, fourth of the season and 51st of his career, moves Barcelona 10 points clear of Atletico Madrid. 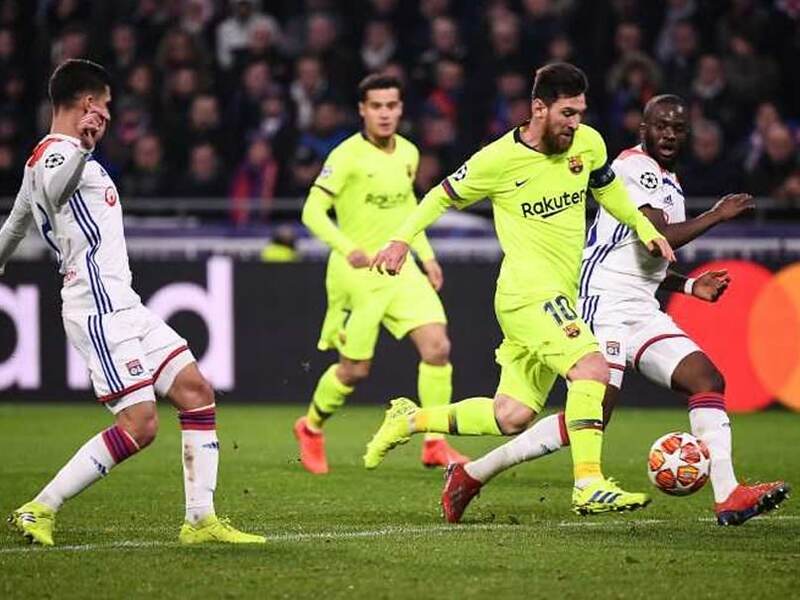 Barcelona beat Lyon 5-1 on Wednesday to reach the Champions League quarter-finals. 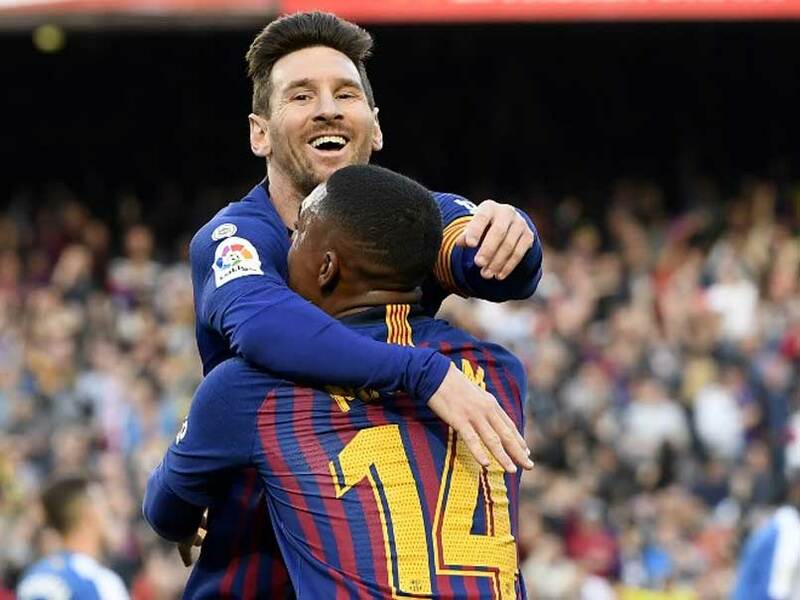 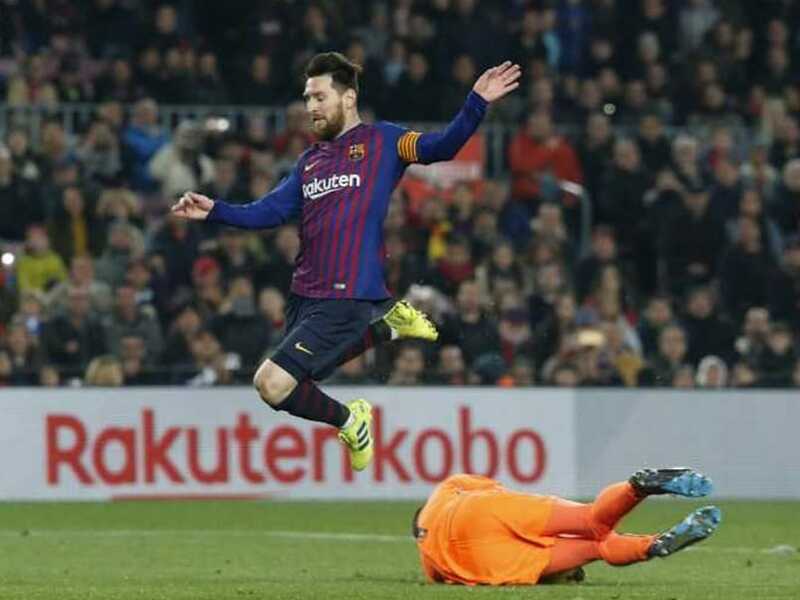 Rayo took the surprise lead at the Camp Nou but Lionel Messi converted a penalty and Luis Suarez finished a brilliant passing move to seal a 3-1 win. 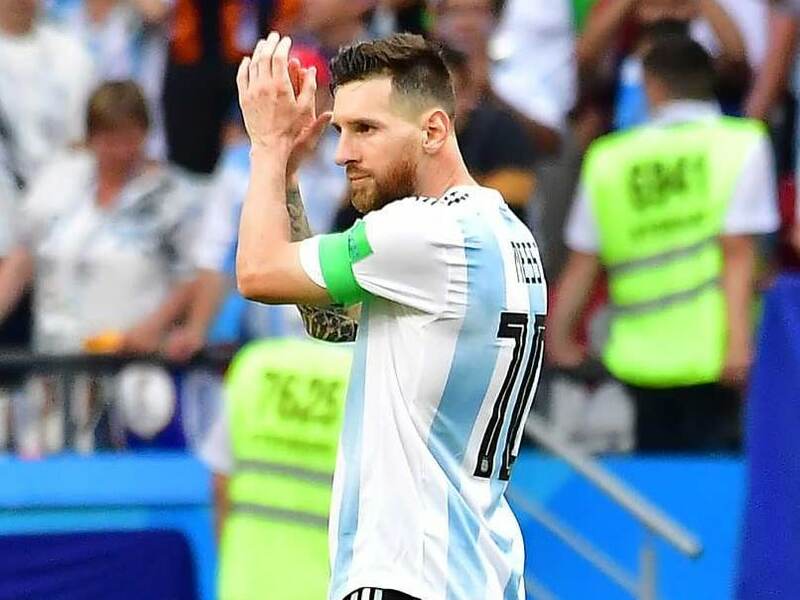 Lionel Messi hasn't pulled on the national team jersey since Argentina were dumped out of the World Cup last June by eventual winners France. 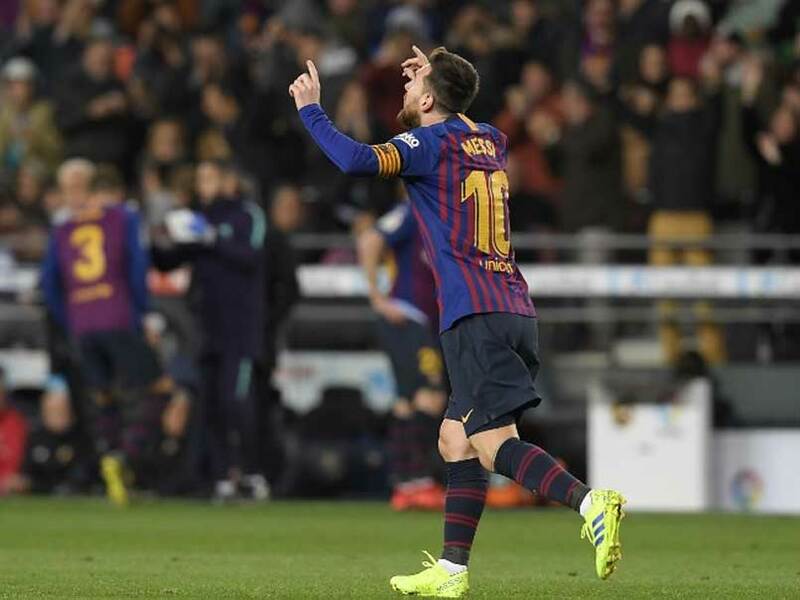 Lionel Messi leads the La Liga scoring charts after notching his 25th goal in 23 league appearances this season. 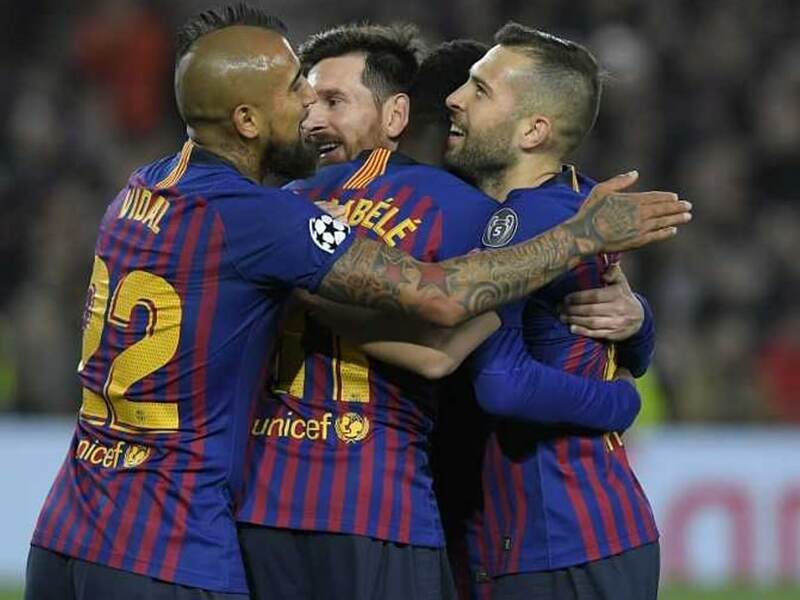 Barcelona have now gone six away matches without winning in the Champions League knockout rounds, scoring just a single goal in that time. 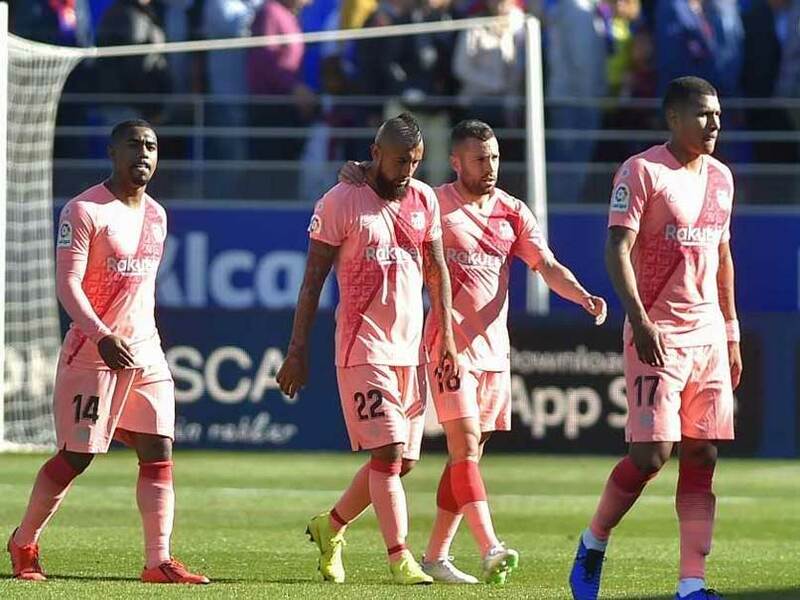 Antoine Griezmann surpassed Fernando Torres with his 130th goal for Atletico Madrid. 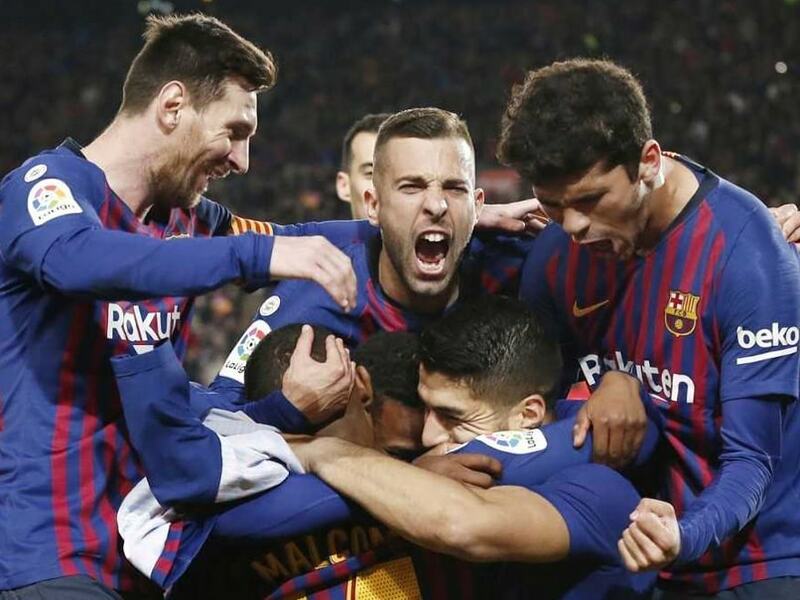 The draw makes it three games without a win for Barcelona. 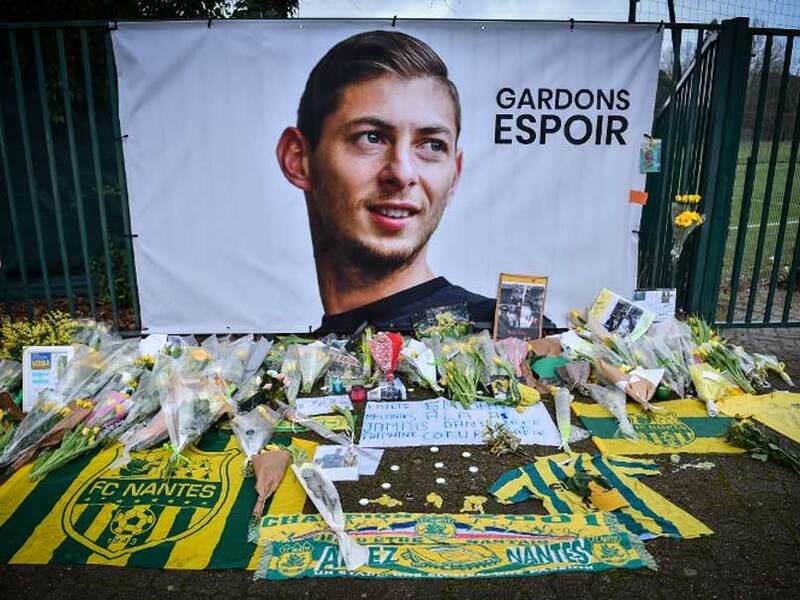 The shipwreck hunter hired by Emiliano Sala's family with the help of funds donated by football stars such as Lionel Messi found the plane wreckage on Sunday. 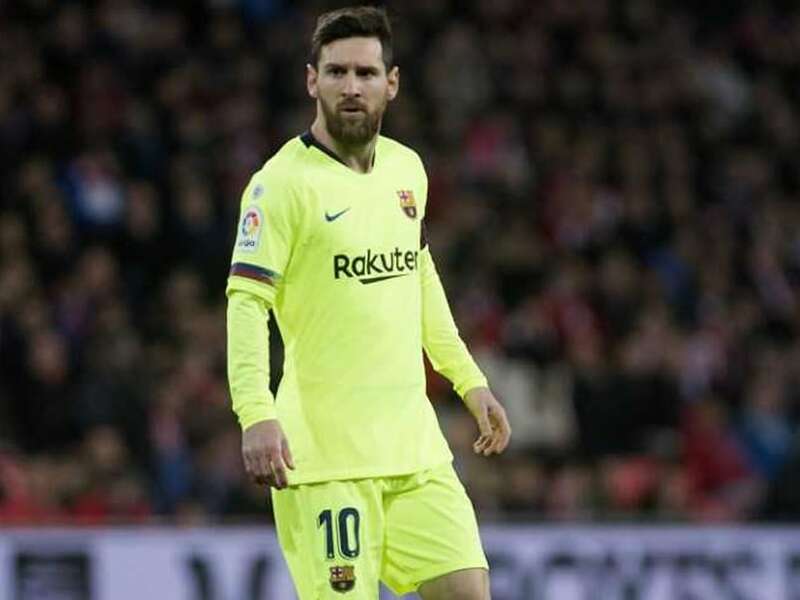 Lionel Messi's plea comes after Emiliano Sala's father and other players begged authorities to continue the search. 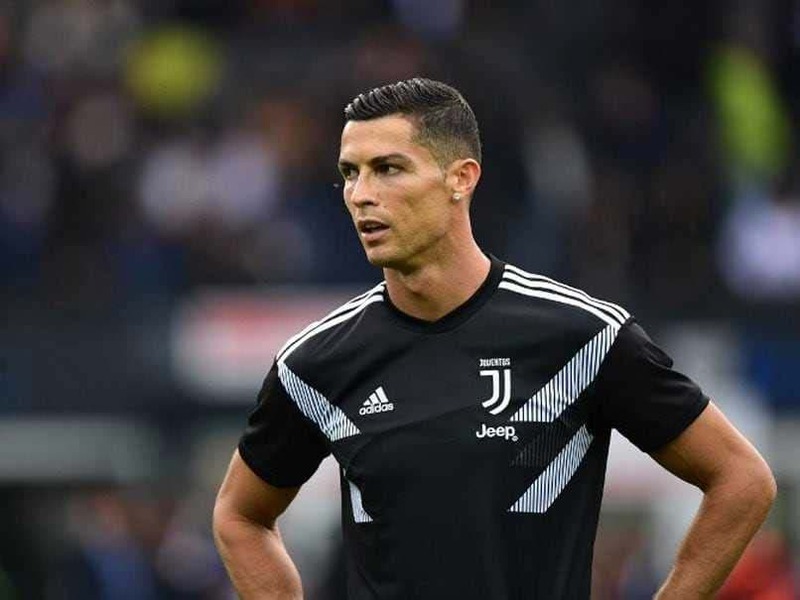 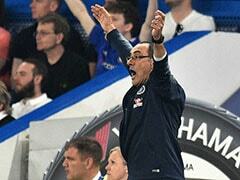 The court sentenced him to a two-year jail sentence that it immediately reduced to a fine of 365,000 euros.